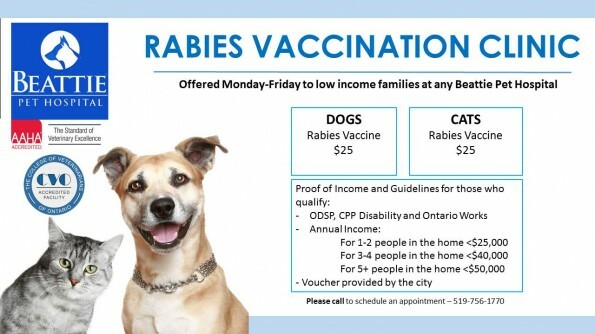 Beattie Animal Hospital is proud to be participating in the Rabies vaccine program through the Hamilton Ministry of Health in response to the Rabies wildlife outbreak. There have been almost 200 cases of confirmed Rabies cases in Hamilton. This vaccine program will be offered to low income families. Please give us a call if you have questions and get your pet’s vaccinated for Rabies!